As more and more Canadian gamblers have started to ditch bricks and mortar casinos in favour of online roulette, Neteller has emerged as a popular alternative to more traditional banking systems when it comes to real cash online gambling. One of the most popular e-wallet deposit methods for roulette, Neteller is one of the longest established methods for making payments over the internet. It is part of a huge, publicly-traded company, and has been a part of the e-commerce industry for years and years. It might seem complicated, but e-wallets like Neteller are actually one of the more simple deposit methods around, allowing you to load up your online roulette account with real cash incredibly smoothly. When you are ready to start playing real money online roulette, Neteller lets you fund your e-wallet account from your bank account or credit card, among a variety of other different banking methods. Once your Neteller account has money on it you can head to your favourite online roulette site, click the Neteller logo on the cashier or banking page, enter the amount you want to deposit and start playing in next to no time. Canadian currency: Unlike certain other deposit methods, Neteller allows you to work in Canadian dollars so there's no need to mess around trying to work out exchange rates. Ease of use: Once you have made a real money deposit for online roulette, Neteller deposits will allow you to start playing online casino games for real cash pretty much instantly. Withdrawal: After you have won money playing online roulette, Neteller can be used as a withdrawal option to get your hard-earned winnings off the online casino. Security: Using Neteller rather than other banking methods ensures that your personal details remain safe and secure, with handy encryption processes and fraud protection. Works with most online casinos: You shouldn't have too much trouble finding good roulette casinos accepting Neteller, as it is one of the most popular deposit methods in the online gambling space. In addition to there being a wide range of online roulette sites accepting Neteller, this banking alternative is one of the options available to the Canadian population for online shopping, and a variety of other electronic payments. If you're after deposit methods you can use for other means as well as online roulette, Neteller is among the best and safest option. As well as Canadian Dollars, Neteller supports a whole host of other currencies such as Euros and British Pounds, while it is one of the most widely used deposit methods around the world, being supported in more than 180 countries. This is why you will be able to find so many good roulette sites accepting Neteller. Just because you can see a Neteller logo on the homepage of an online casino doesn't mean that casino is necessarily a great place to play roulette for real cash. When it comes to real money online roulette, Neteller sites are so widespread that it helps to separate the wheat from the chaff, and that is where Roulette.ca comes in. We employ a team of reviewers with years of experience playing real money online roulette on some of the best roulette casinos accepting Neteller. They know what any roulette enthusiast in Canada should be looking for in a site, so not only have they identified the best roulette sites accepting Neteller but they have narrowed these down to only recommend those which are also great for variety, great software, and of course safety and security. Neteller happens to be one of the most sought after eWallets available to online casino players. Optimal Payments Limited operates this reputable service. Although US players do not get the benefit of this leader, Canadian players do. Users can rest assured that Neteller is up-to-par thanks to it being a publicly traded company, with many years experience to back its reputation. After setting up an account with Neteller and linking your funding source, you will then utilize either Neteller or Net+. Neteller is an electronic transfer service, while Net+ is a pre-paid MasterCard. When you use Neteller as a method of payment at online casinos that welcome Neteller, the transfer of funds is as fast as making any online purchase. 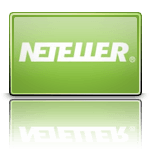 Neteller is accepted at many online casinos. We have vetted many online casinos to ensure that you have a safe, pleasurable experience playing online. Not all online casinos that accept Neteller are quality ones. We hope you will enjoy playing at casinos that we know pass our multi-point inspection. Neteller is very safe and secure, provided that you are playing at reputable online Roulette sites. In addition to only choosing sites that have a high quality track record, make sure that you always safeguard your accounts and never play on open, unsecured networks. Using a third party system such as Neteller protects your personal banking information from the online casinos, as well as any possible Internet trolls or rogue interceptors. Transfers using Neteller are some of the fastest in the business. Both deposits and withdrawals are reported to occur almost instantly. When it comes to Canadian dollars, Neteller is one of the best. That is good to know, because who wants to spend their winnings on exchange fees? Overall, Neteller is known for speed, accuracy, reliability, and flexibility. It is also considered one of the best alternatives available to Canadian Roulette players. Neteller does charge a fee for deposits. The amount is dependent upon which form of deposit you are using. When you transfer money into your Neteller account, the fee can be as low as 2.5% of the total transaction, upwards to 3.5%. In the end, the security, speed, and reliability make that a worthwhile investment.